But you all know this gal well enough by now that if there is food, I’ll be there. 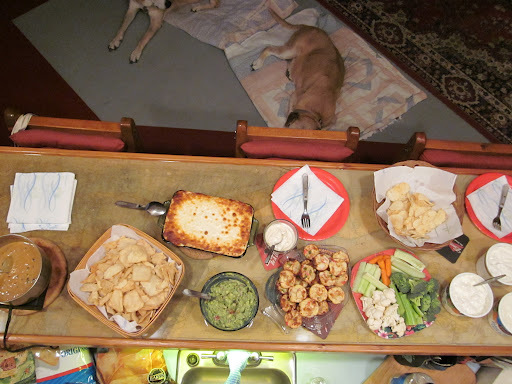 And lordy does the Super Bowl incorporate food of all kinds. Wait, did you say Roasted Garlic Dip? Anyways, fast forward past the horrid lip-syncing half time show, the Giants win, and even the ticker-tape parade in NYC a few days later, and that damn dip was still in my fridge. Time to get creative, because I could not load up yet another cracker, pita chip or celery stick with the stuff, tasty or not. 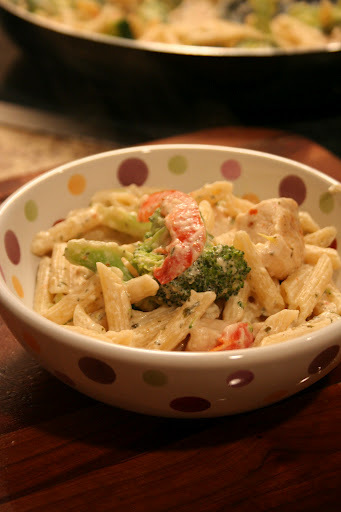 And thus Roasted Asiago Garlic Chicken Penne with Red Pepper and Broccoli was born. 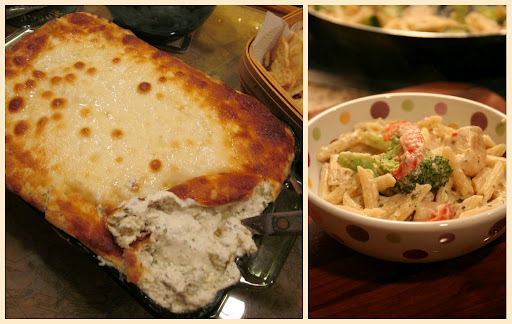 If you too need to get rid of some lingering Super Bowl dips, or just want a really quick dinner idea (seriously, this took me 15 minutes to throw together) carry on my wayward Giants son foodie. 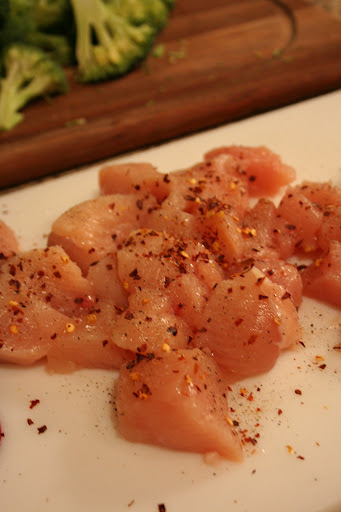 While water boils for the pasta, season boneless, skinless chicken breast (because it thaws quick…don’t forget this meal come together faster than it takes for the Pats to lose their lead) with salt, black pepper and red pepper flakes. 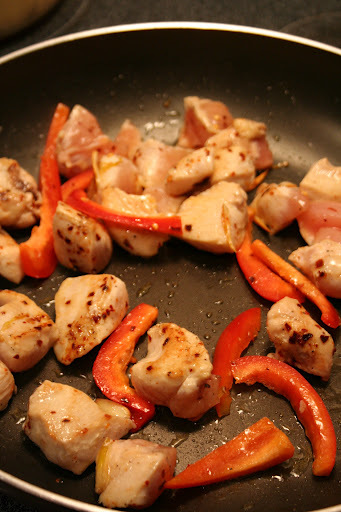 Saute with garlic and red pepper in olive oil. 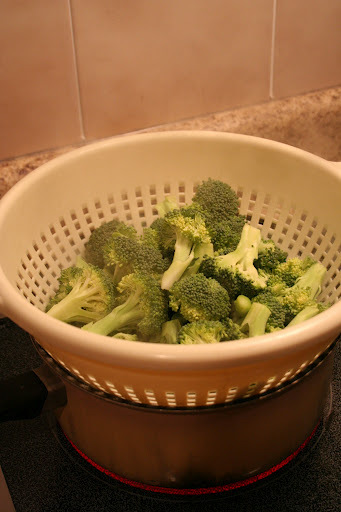 Steam broccoli florets over the pasta water in a colander until tender crisp. Toss in with the chicken mix. To make the “sauce” I pushed the chicken and veggies to the edges of the skillet and then added the last 3/4 cup of the roasted garlic dip. 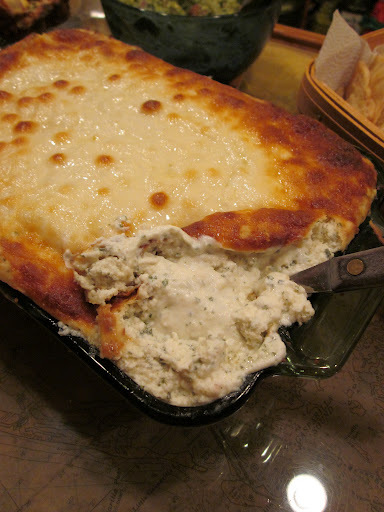 (minus the mozzarella cheese topping-it doesn’t melt well) As the cheesy dip melted down I added 2 large cooking spoonfuls of the pasta water. 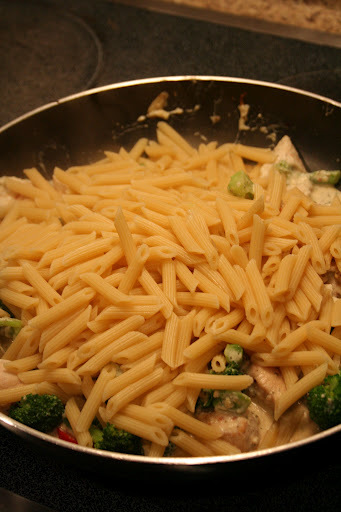 Mix well to coat the chicken/veggie mixture, then drain the pasta and toss it in too. Done and done. Just like the NFL season. Now that is what I call a Super Bowl of Supper. 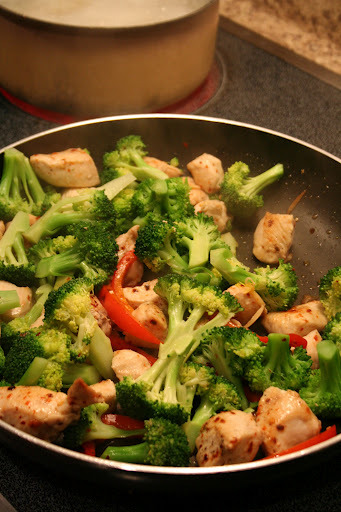 3. add 2 turns of the pan of olive oil to a large skillet over medium heat. 6. add the seasoned chicken to the skillet, turning to brown all sides. 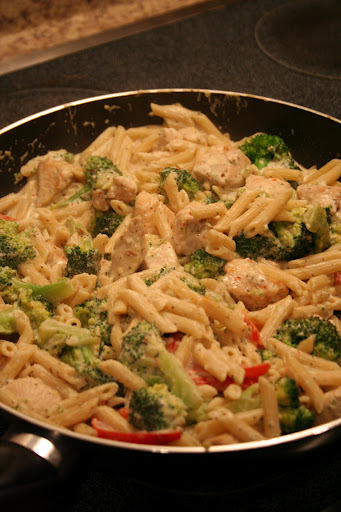 9. push the chicken and vegetable mixture to the outer perimeter of the skillet, adding the leftover dip to the center of the skillet, adding ~1/4 cup of pasta water to form the sauce. 10. add drained pasta and toss to mix. 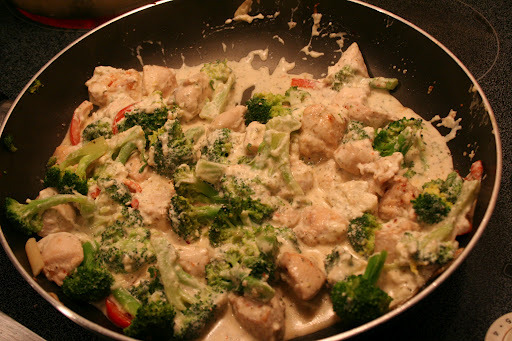 *or substitute a mixture of 1/4 shredded asiago cheese, 1/4 cup cream cheese, and 1/4 cup Greek yogurt. ….and it’s not just me, both Mother Nature and my damned taste buds are confused. As in bipolar opposites confused. See, it’s March, and hello Mother, it is still winter, but we have had highs in the upper 70’s and even 80’s for the last 2 weeks. Not that I’m complaining. Oh no. But in typical Semi-Abnormal fashion, while everyone one else is jonesing for microgreens, fresh berries and grilled fish tacos I have a craving for squash and hash? (The sweet potato kind, thank you very much. What were you thinking?). Maybe it’s not my tastebuds that have the problem, but the fact that I still have my Christmas decorations up and a basket of mini pumpkins and gourds spending some quality time alongside an out of control onion on my kitchen counter. Oppsie. Whatever the reasoning, this sweet potato, beef and egg hash was just what I needed to satisfy a wacky harvest craving. 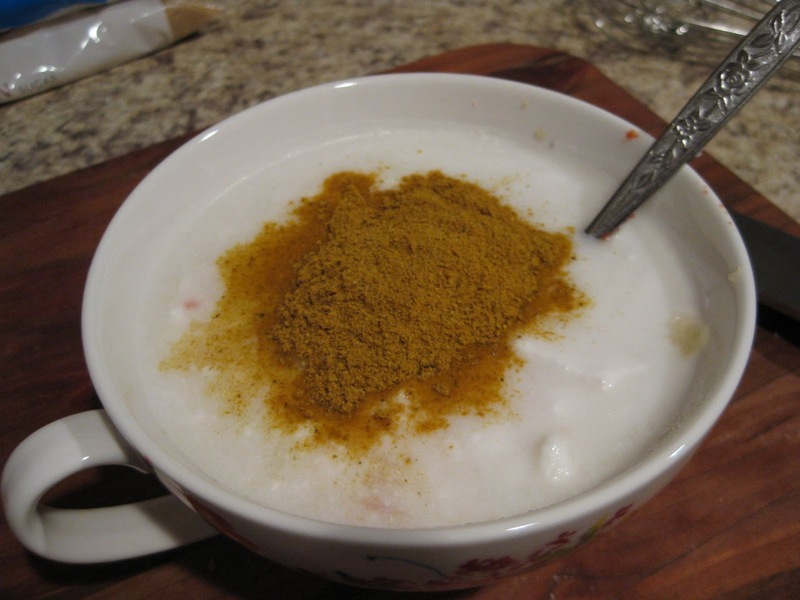 If you are having out of season cravings too, give this a whirl! Saute the onion and sweet potato in butter (or your “fat” of choice) until the onion is translucent and the potato is starting to soften, then add the spices. Now comes the only “tricky” part of making hash. 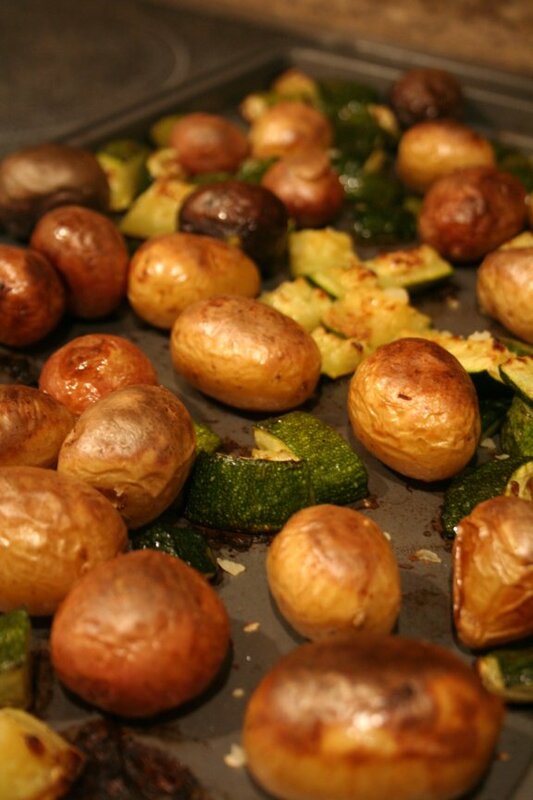 Spread out the seasoned veggies evenly on the bottom of the skillet and leave.them.alone. I’m a hands on gal, so this is tough for me. If you keep your hands to yourself, a lovely brown crust will start to form. Then, and only then, “flip” everything over (I just stir it up, honestly) and let the other side brown for a few more minutes. 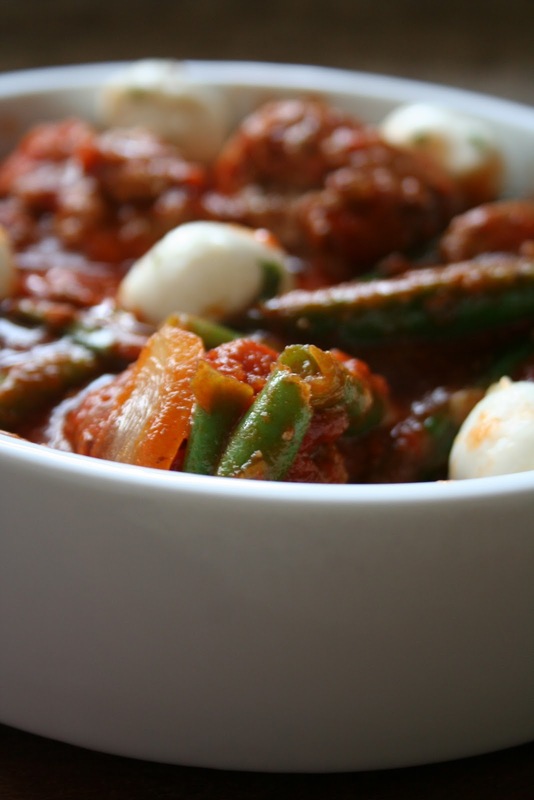 Add the leftover shredded beef and pepper. 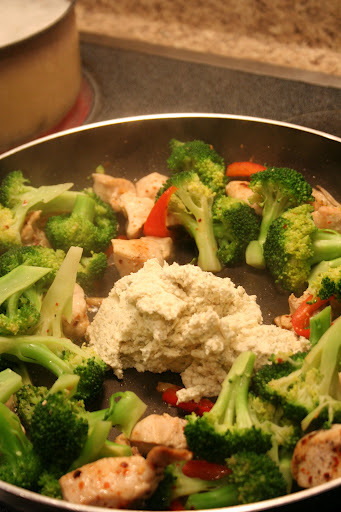 Once the meat comes up to temperature, spread the hash mixture evenly on the bottom of the skillet again. Crack two eggs over the top and cover. 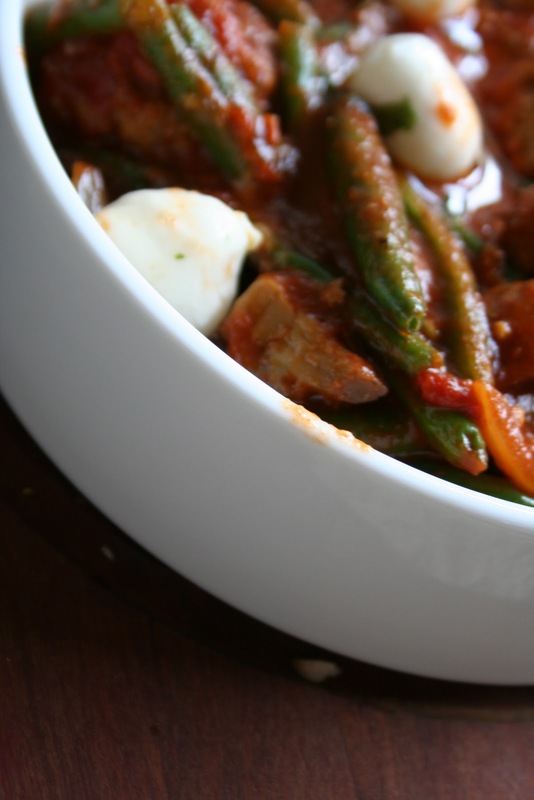 The goal is to “set” the white of the eggs, but don’t overcook the yolks….you will see why in a moment! I served my hash over a bed of spinach and heirloom tomatoes. Love the runny egg, ahh. So worth hovering over the stove impatiently! Yeah, you know the condiment queen can’t go without ketchup and hot sauce. 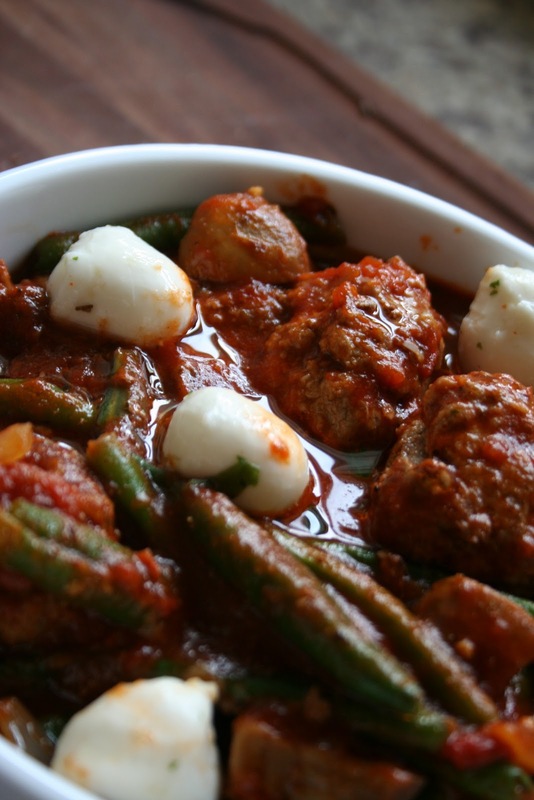 Out of season craving? Done and done. Now if Mother Nature would make up her damn mind! Hello ladies. 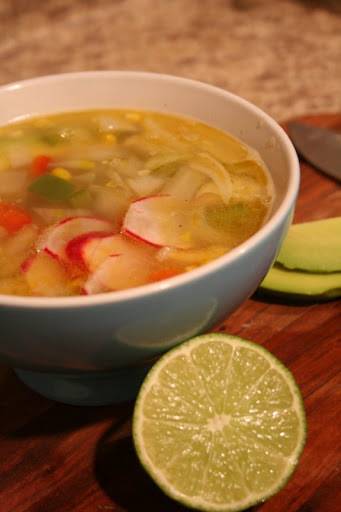 Is a overly brothy soup got you down? Turn that frown around, and sing the blues, baby. For this successful makeover meal I strained the chicken, veggies and other “goodies” from the soup, reserving the broth for my spoiled pup. 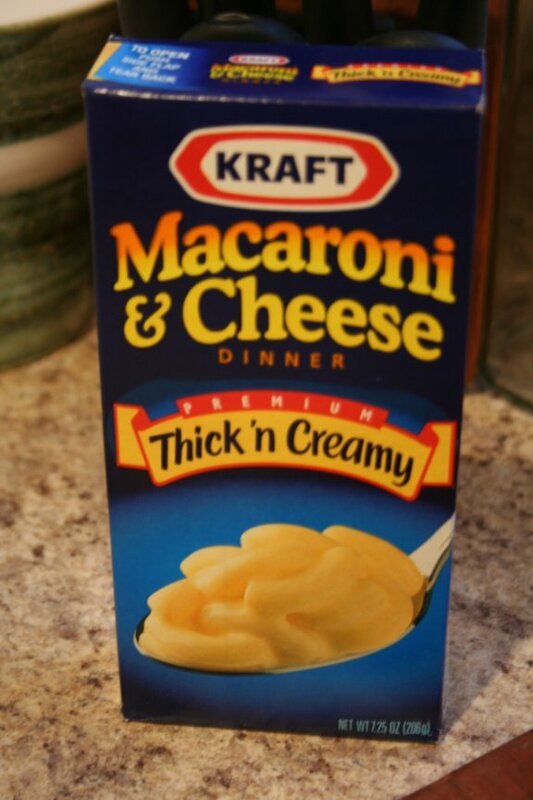 I then prepped the mac and cheese per the box instructions and mixed in the soup “guts” with the cheese, etc. I added a little more milk than usual, but I never measure out the milk, so it was probably an extra 1/8 cup, if that? 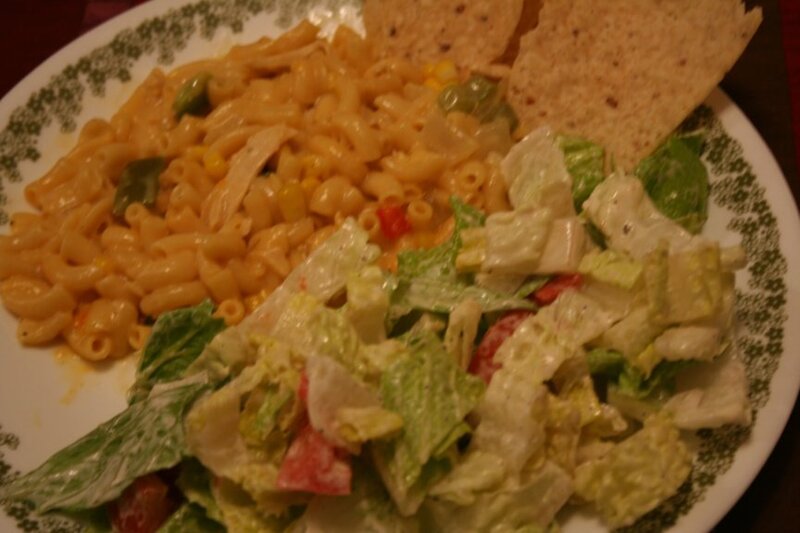 This might not be the most photogenic meal ever, but it worked for me, especially when pared with a chopped salad and some random tortilla chips. Another successful meal turn around, and not a moment too soon. I was ready to sacrifice the entire soup pot to the dog! I’m really excited to introduce a new “series” on my blog today. As a single gal, who loves to cook, but whose only roommate is a 100lb mutski, I produce far too much food. I have a serious over-cooking problem. I blame it on my Italian/Texan heritage (don’t even get me started on the Irish over-drinking issues.) Regardless of the root of my issues, I don’t need more tissues, I need more Tupperware! Here lies the problem, I can only handle eating a meal a maximum of three times. That giant dog I referenced above? Pretty much the best fed dog in Florida. And I might have the highest grocery bill of any single gal in Florida. I’m not exactly proud of either fact. In the interest of keeping my dog slim and my wallet fat I present to you my newest brewhaha: Loving the Leftovers. Remember these pretty babies? Tasty as they were, and were again, and well, I just couldn’t look at another roasted zucchini chunk after a week in the fridge. No worries. 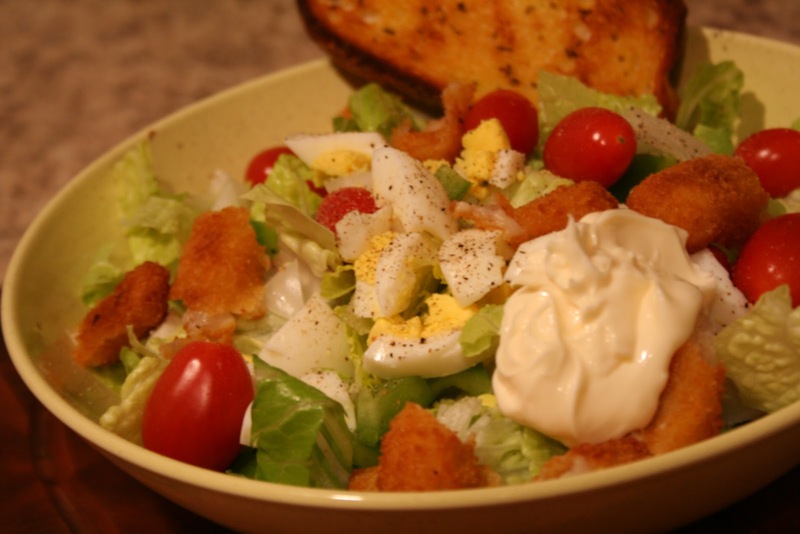 I’ll hide it in a pile of romaine….and tomato, and onion and pepper and egg, a dollop of mayo, oh and a fishstick too! Toto, I don’t think we are in boring roasted veggie land anymore! Without any further ado, (or bad movie jokes) I give you to, the infamous Trashcan Salad. This salad is the perfect way to use up any leftover starches and cooked vegetables in your fridge, so bring on the rice, pasta or any other veggie combo. I have been making Trashcan Salad for years, ever since I was inspired by the Rice Salad by Antonia of Top Chef Season 4. In the Uncle Ben’s Instant Rice Quickfire she made a salad of rice, greens and cherry tomatoes, dressed with mayonnaise. Rice and mayo and greens? Amen. 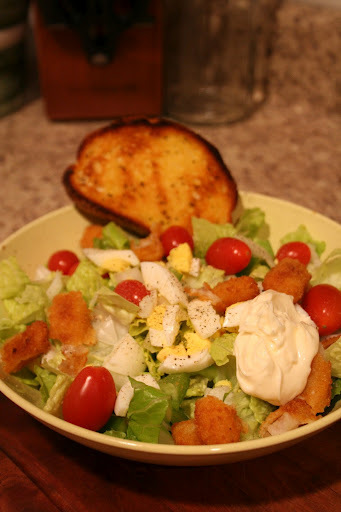 Of course Antonia topped her salad with skirt steak….I had fish sticks, it’s a wash, ya dig? I call round one of Leftover Lovin’ a serious success with a side of garlic toast! 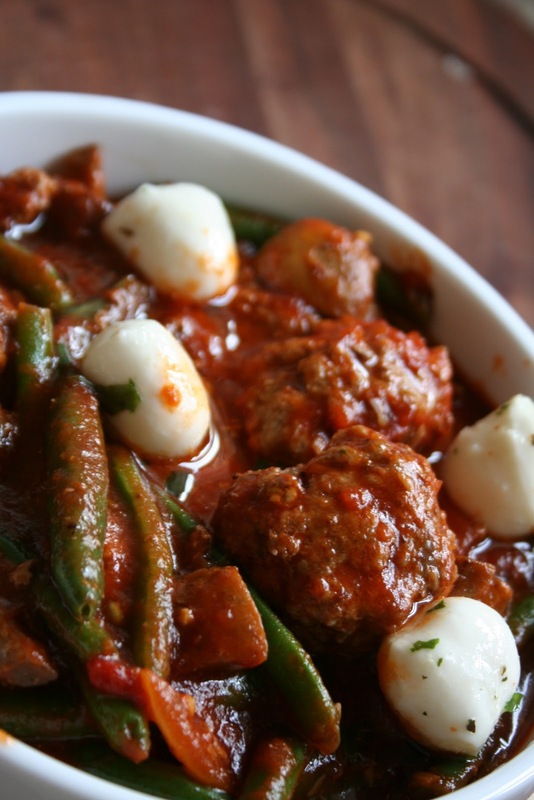 How do you deal with never ending leftovers?